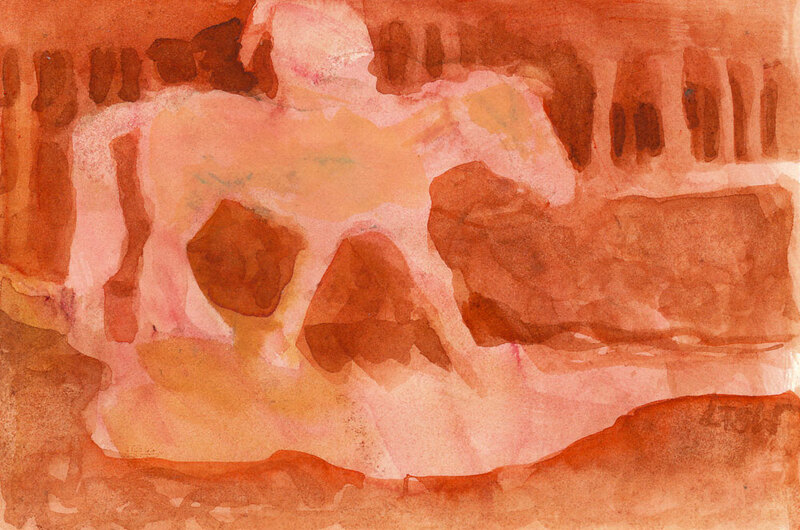 Dreaming of Riding Again is a small (3-1/2″ x 5″) watercolor on watercolor paper. I’m under doctor’s orders to do no riding, no grooming, no “messing” with my horses until the end of January. It’s depressing, so I’m left to dream about being able to ride my big-headed Roxie girl once again. This entry was posted in Uncategorized and tagged Artpony, equine art, horse, horseback riding, Linda Kay Thomas, Linda Snider-Ward, Louisiana artist, small art, watercolor. Bookmark the permalink.